RESIDENTS on a quiet Adare street claim a lack of water pressure is putting their homes at risk of fire. Homeowners on Legend drive say the water pressure and volume on the street's main is inadequate for fire trucks to draw from its hydrants. 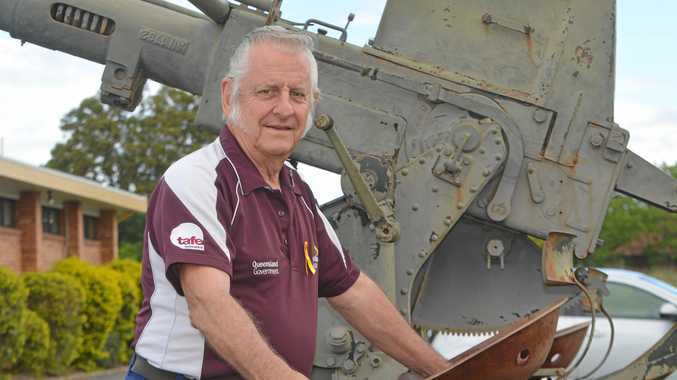 Peter Brown lives on Legend Dr and is a member of the Gatton Springdale Rural Fire Brigade. Mr Brown said water pressure issues on the street had been ongoing for the past 12-18 months. The fire brigade, however, became aware of the issue affecting the street's fire hydrants in September, during a hazard reduction burn when they were unable to access water from the hydrant. The brigade sent a letter to Queensland Urban Utilities detailing the issue and warning the pressure was "inadequate for the preservation of life and property" in the event of a fire. In a response seen by the Gatton Star, QUU claimed the hydrants along Legend Dr were in fact maintenance hydrants and not designed for firefighting purposes. A spokesperson for QUU confirmed to the Gatton Star this was the case, and said the company would work to differentiate the hydrants. "The hydrants in Legend Dr are access points for maintenance purposes only, such as pipe cleaning," the spokesperson said. "We are currently investigating how we can mark these as maintenance hydrants to avoid confusion." Mr Brown disagreed, saying when he moved to his property in 2011, the brigade had completed a hazard reduction burn and used the mains to supplement the trucks. "I don't for one moment believe a word of that," Mr Brown said. "The hydrants are there at the proper intervals of 100m ... They were put there as hydrants." The pipes supplying the hydrants were originally installed by the street's developer according to council specifications. QUU now maintains the pipes. The QUU spokesperson said there was no requirement for fire hydrants to be installed on the street and the pipe size would also limit firefighting activities. "It is a small diameter pipe for domestic supply, which is sometimes permitted by councils wanting to encourage development in rural areas, provide a town water supply and keep developer and land costs affordable," they said. 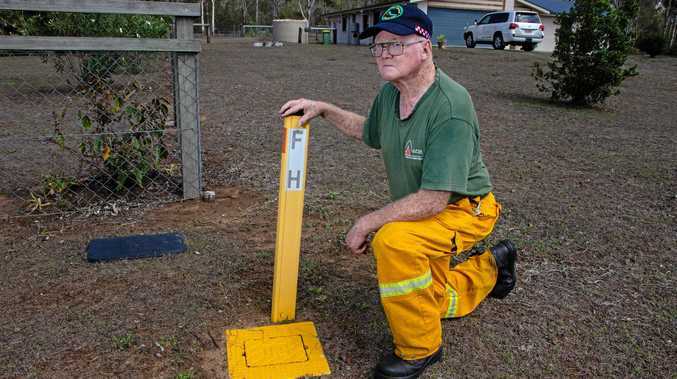 "As is the case in many rural areas, the developer was not required by council to install fire hydrants in the street for firefighting purposes." In a new statement from QUU, spokesperson Michelle Cull confirmed the company would be remarking the fire hydrants on Legend Dr to avoid confusion. She said the four other hydrants on Legend Dr were for maintenance purposes only, as the water pipe in the street was a small diameter pipe designed for domestic supply only. "Water for fire-fighting can be accessed at the fire hydrant located on the corner of Legend Drive and Tallaringa Drive," Ms Cull said. "The Rural Fire Service can refill their tankers at that point to ensure they can fight fires in the street." QFES Rural Fire Service West Moreton area director Paul Storrs said the fire service worked closely with QUU. 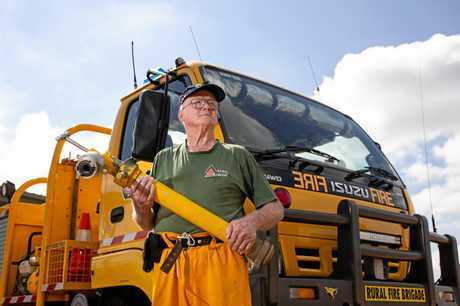 "Rural Fire Service Queensland and Queensland Urban Utilities have in place already established contingency plans and operational response plans to support rural fire brigades or rural fire service responses in the rural fire area," Mr Storrs said. WATER pressure issues on Legend Dr at Adare aren't confined to just fire hydrants. Residents claim in the past 18 months they have been suffering issues in their own homes. Ray Bailey and his wife have lived on the street for nine years and say they have been experiencing fluctuations in water pressure at irregular times. "To me it feels like someone's taking all your water," Mr Bailey said. He said the pressure fluctuations were sometimes so bad there wasn't enough pressure in the shower to wash his hair. Mr Bailey said something needed to be done. "We're paying for town pressure water, without getting town pressure," he said. A Queensland Urban Utilities spokesperson said the company was aware of the issue. "Following concerns raised by residents, we have investigated and are taking steps to improve pressure in the street," the spokesperson said. "This week we have begun work to install a 20m section of pipe near the corner of Legend Dr and Tallaringa Dr to increase pressure."